Today you are one step closer to a new you where you feel empowered and on a positive path to growth and well-being. 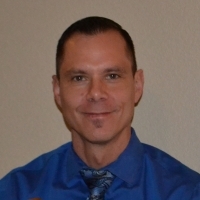 My name is Donny Baca and I am a Licensed Professional Counselor in Colorado. I have been practicing as a mental health counselor for over eight years. I work with clients who may be experiencing difficult life events such as, but not limited to being exposed to a traumatic event, relationship problems, divorce, depression, anxiety, and grief & loss. I know at different times in our lives we have all found ourselves trying to overcome difficult challenges. While we can't change difficult situations of the past, you and I can work together to better understand and resolve challenges in your life. I want to provide you support and guidance and help you move back to experiencing a more fulfilling and meaningful life in a non-judgmental and supportive environment. If you're looking for extra support and guidance through a challenging situation or you're just ready to move in a new direction in your life, I look forward to working with you to achieve your goals. All my clients will be treated with dignity and respect. My work with Donny has been highly fulfilling and greatly appreciated - I've learned to accept myself for who I am and to believe in what I believe, regardless of outside influence. Thanks to Donny I've been able to pursue a loving relationship with another person (something I had previously thought impossible) - I look forward to our continued work and my continual emotional and psychological development with Donny's guidance. So far Mr. Baca has been a great help and been spot on with his advice! I actually feel like he wants to help unlike my previous counselors. Would you like to write a review for Donny Baca? We'd appreciate if you can spend a couple of minutes to write a short review for Donny Baca (MA, LPC, NCC). This review would be shared with Donny Baca. It may also be posted in our website or in Donny Baca's profile but it would be anonymous and your identity would be kept completely confidential.